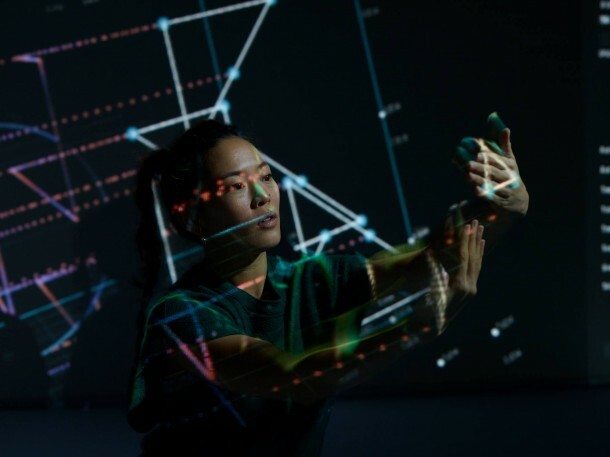 This workshop is an introduction into the countless possibilities of vvvv as a platform for mapping visuals onto moving objects, and how to connect the image of a moving user into abstract 2D geometries, pointclouds and 3D Objects. In interactive installations artists and designers often work with 2D and 3D moving images by using sensors. These bodies are overlaid with visuals often made in platforms such as Processing or OpenFrameworks, but it’s quite a steep learning curve to learn these text-based coding platforms and create interesting visuals. 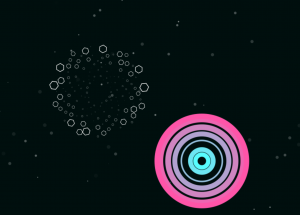 vvvv is a tool to create stunning artworks and design. Its visual user interface allows you to create anything from huge projections to interactive applications and high quality 3d graphics in realtime. And yes, all that – without writing one line of code. We will learn how to use vvvv to project on moving objects and human bodies. Therefore we need to calibrate projector and camera. The resulting system is highly interactive and allows you to move and play with digital visuals in real world space. The workshop is for intermediate creative coders who already have some experience in text-based creative coding languages, such as, Processing or OpenFrameworks, and would like to try a different platform to create interesting visuals on moving objects. We will work on a group of essential modules which enable multiple possibilities to make moving bodies look stunning. Basic GLSL understanding would be nice! Christian ‘Mio’ Loclair is a contemporary theatre choreograph, new media engineer and founder of Pincemio. His work is mainly focused on poetic intersection and interfaces of new media and dance. He studied computer science specializing in media engineering and human computer interaction. Since 2012 he collaborates with onformative, a Berlin based studio that works on the intersection of technology, generative design and emotion.